The cloud might have been hype four years ago, though today it’s a necessary business driver. Unfortunately, confusion on its effective use has given rise to a series of industry myths, often imbuing fear in many CIOs. Dozens of experts brought up this persistent myth, arguing that compared to your organization, cloud providers have greater expertise and more technical staff. “Cloud companies are beginning to spend at a scale of great magnitude that cannot be matched by a single organization,” said Brennan Burkhart (@LiquidHub), partner, global salesforce practice lead, LiquidHub. “Cloud providers live, eat, and breathe network security while most other organizations don't usually list it as one of their core competencies,” continued Leo Reiter (@virtualleo), CTO, Nimbix. “Cloud computing boosts your security in a way that you will never be able to afford. This is because of the economies of scale,” continued Ian Apperley (@ianapperley), writer and IT consultant, whatisitwellington. “The biggest myth is that the [cloud security] question is even that simple,” argued Scott Feuless (@ISG_News), principal consultant, ISG. “The cloud is less secure” argument discounts the many variables that go into making the cloud deployment decision, such as your organization’s size, existing in-house expertise, who your adversaries are, whether you need to do penetration testing for each deployment, and your organization’s need to scale. Once again, this myth simplifies a very complicated issue. According to the Spring 2014 Alert Logic Cloud Security Report, both on-premise and cloud hosting providers (CHP) saw a dramatic increase in vulnerability scans from 2012 to 2013, with CHP having a slightly greater increase. But depending on the type of attack, such as malware and botnets, on-premise was far more susceptible. 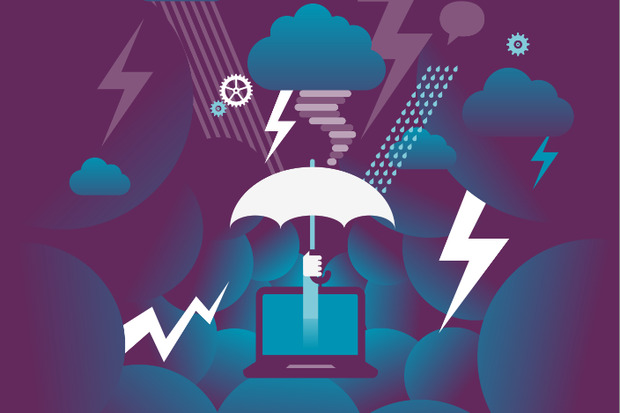 “Internet threats are just as much of a risk for private cloud infrastructures and service provider networks,” said Jason Dover (@jaysdover), director of product line management, KEMP Technologies. “When the correct security policies for preventing attacks and detecting them are implemented, attacks are no more threatening to the cloud than any other piece of infrastructure,” said Alastair Mitchell (@alimitchell), president and co-founder, Huddle. “The various high profile security breaches over the past few months have served to highlight that the physical location of the data matters less than the access and associated controls,” added NaviSite’s general manager, Sumeet Sabharwal (@sabhas). Believing in the data location myth diverts focus from the more common attack vectors, such as exploiting human social weaknesses and malware, said David Cope (@DavidJamesCope), executive VP of corporate developer, CliQr, who cited Verizon’s 2014 Data Breach Investigations Report as evidence of this trending security threat. “The top myth we come across about security is that security in the cloud is more difficult to maintain than on-premise,” said Aater Suleman (@FutureChips), CEO, Flux7. “Ultimately, a ‘cloud’ is just someone else’s network,” noted Corey Nachreiner (@watchguardtech), director of security strategy and research, WatchGuard. “Believing in this myth leads to companies either compromising security in the name of business requirements or refraining from using the cloud for mission critical applications,” continued Suleman. “With apps strewn across the internet, if a corporation thinks they can build one perimeter around all their apps, then they are nuts,” said Patrick Kerpan (@pjktech), CEO and co-founder, Cohesive Networks. “Security should extend down to each individual enterprise application,” Kerpan continued. “Multiple layers are needed to combat hackers. There isn’t a single silver bullet,” agreed Greg Rayburn (@FlukeNetENT), security analyst, Fluke Networks. Even though many might try to fool themselves into believing they’re not using the cloud, we’re all online and susceptible to many of the same threats. “If your systems are connected to the Internet, then you are already on the cloud,” argued Peter Landau (@harmony_notes), president, Harmony Technologies. “The biggest security threat is connecting anything (laptops, etc.) to the public internet or deploying any software to the public internet,” added Dave Nielsen (@davenielsen), co-founder, CloudCamp. “The security implications of employees procuring their own cloud services cannot be avoided,” said Sarah Lahav (@sysaid), CEO, SysAid Technologies. Still, while IT can’t control the consumerization of IT, they are still the ones to blame for any technical issues. “A fully representative cross-section of management, including the CEO, must be responsible for the design, deployment, and maintenance of cloud security policy and implementation,” added Steve Prentice (@stevenprentice), senior writer, CloudTweaks. “A common misconception is that the cloud provider automatically looks after all the security needs of the customer’s data and process while in the cloud,” said Jeff M. Spivey (@spiveyjms), VP of strategy, RiskIQ. “Just being provided the tools to create, implement, and enforce security measures for cloud workflows does not inherently defer the business risk associated with an increased level of attack or compromise,” said Scott Maurice (@scottjmaurice), managing partner, Avail Partners. “Password policies, release management for software patches, management of user roles, security training of staff, and data management policies are all responsibilities of the customers and at least as critical as the security being done by the public cloud provider,” added ASG’s Volk. While you’re hardening internal security, don’t assume that your cloud provider backs up your data and will be able to restore it in case of a security breach. Zanni recommends deploying a mobile content management (MCM) solution, as protecting the data will be what ultimately defines your business’ security and compliance requirements. While cloud hosted systems provide hardware-based and perimeter security, those who choose a multi-tenant solution, noted Burns, get a third layer of protection called logical content isolation, designed to help prevent inside-perimeter attacks. “Like tenants in an apartment building who use one key to enter the building and another to enter their individual apartment, multitenant systems uniquely require both perimeter and ‘apartment-level’ security,” explained Burns. It’s a necessary protection layer for the existence of multi-tenant systems. “Multitenant services secure all assets at all times, since those within the main perimeter are all different clients,” said John Rymer (@johnrrymer), VP, principal analyst, Forrester Research. There are no absolutes in cloud security. The complete opposite statement regarding cloud tenancy can also be viewed as a myth.